–> Listen to this episode on iTunes here. Thomas Clifford – our guest today – challenges this notion. A lifelong practitioner and martial arts leader, his decades of experience training and teaching span both traditional and modern disciplines. He believes that practices from kaju kempo to the five animal frolics provide a deeper and more enduring value than they’re sometimes given credit for. With their capacity to benefit participants on a physical, mental and emotional spectrum, they have become more than devices for self-defense or tournament wins – they provide serious insights, rare opportunities for self-development and invaluable lessons for inner growth. –> Listen to our conversation here. Critic, thinker, provacateur, student, teacher – Tom Clifford is all of this and more. As a teacher straddling the classical and the contemporary (kung fu, kaju kempo and Brazilian jiu-jitsu), he challenges the conventional thinking around the division between what is “modern” and what is “traditional”. And he raises the possibility that the embedded wisdom in many of these older styles might contain the key not just to survival, but to larger-scale success. Here you can find the Chop Wood Carry Water T-shirt from DojoPrints mentioned in an earlier episode. 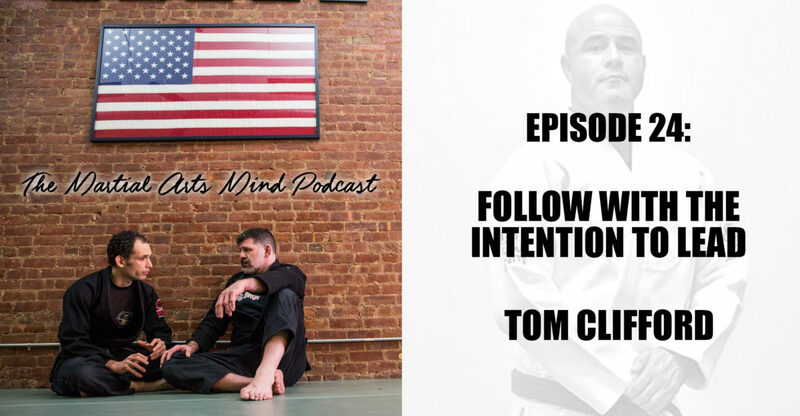 Learn more about Tom Clifford’s Pearl River dojo. and martial arts as a vehicle for growth.